Mitchell Starc was adjudged Man of the Match while Cummins won the Man of the Series award. Australia have ended their summer with a huge 366-run win over Sri Lanka to clean sweep the series by 2-0. It was always going to be the one-way traffic after the visitors were set a daunting target of 516 runs and the Islanders were never going to get there even in their wildest dreams. There was no fight put up by Sri Lanka and it took only 45 overs for the hosts to clean them up. The first casualty of the day proved to be Dimuth Karunaratne who was castled by Starc and the left-arm pacer didn’t stop here. He snaffled Dinesh Chandimal as well and then came Pat Cummins to send back the comfortable looking Lahiru Thirimanne. Niroshan Dickwella was sent to bat at four but once again he failed to convert a good start and not surprisingly even he became Starc’s bunny to see his timber disturbed. At 97/6, soon after lunch, the end seemed nigh but Kusal Mendis and Chamika Karunaratne made the Aussies wait for close to 12 overs for the next wicket. This was the longest the hosts had to wait for a wicket in the innings. Both of them added 46 runs for the sixth wicket. However, even they knew that it was only delaying the inevitable. Mendis played some delightful strokes but that has always been the hallmark of Sri Lankan cricket these days. They shine for an hour or so in Tests which is not at all enough to even compete. Marnus Labuschagne got better of Mendis on 45 and the game finished quickly. Pat Cummins got stuck into the lower-order to make it nine down and then came the famous Starc-special yorker to end the match. Starc delivered a 146 kph toe-crusher to Vishwa Fernando and it goes without saying that it was too good for the number 11 which skittled Sri Lanka for 149. They lost the last four wickets for just six runs. Starc returned with the figures of 10/100 in the match as Australia ended the summer on a high after being on the receiving end for the most of it. 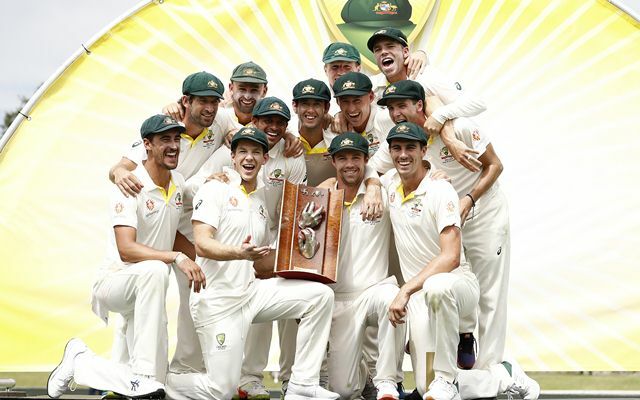 It also turned out to be the first series win for the combo of Justin Langer and Tim Paine. Australia beats Sri Lanka by 366 runs. M Starc 10-100 for match. Burns, Head, Patterson, Khawaja notched up hundreds.